If you would like to visit our office, feel free to contact us today at ​(860) 668-4431. Dr Tini and staff- fast, friendly and high quality service. I've been a happy patient for years. Well .... except for the drilling. Emergencies are handled with urgency, like my visit today when a filling fell out. I was seen and the tooth repaired before it worsened.Great staff that has been there for years. No problems with my dentist appointment. Great service friendly people.Very happy will be back in March. Suffield Village Dental is the only Dentist office I haven't dreaded walking into. From horrible past experiences I have extreme dental anxiety that is always soothed by Dr. Tinis calm demeanor and gentle work. 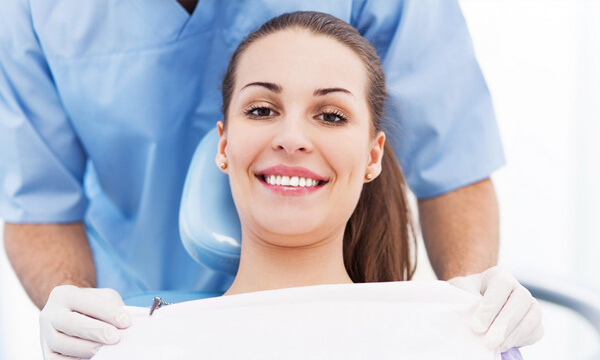 Everyone from the sweet friendly faces at the front desk to the hygienists and assistants makes you feel so comfortable from start to finish. I strongly suggest anyone seeking a dentist that is apprehensive in any way suffield Village is the BEST and I've seen A LOT of different dentists! The staff is very friendly, they are always on time, and I feel like they do a great job. Dr. Tini is funny and personable, I don’t see myself going anywhere else. Let me just say this is the best place to go to for a dentist. All the employees are amazing they actually care about the patients. They even call when you have a procedure done to make sure that everything is OK. If you have an emergency they will fit you in there is no other place that will do this. This is definitely a five star dentist. The office assistants where very helpful and accommodating to my family during our visit. My daughter had a root canal done and she well taken care of. Dr. Tini is educated, friendly and professional. His staff is wonderful too! They were very accommodating and made me feel extremely comfortable. I would highly recommend them. A great small town feel with a friendly staff. Prices are reasonable and my husband and I have been very happy with our dental care with Dr. Tini. I actually look forward to getting my teeth cleaned by Kristen one of their hygienists! Dr Tini and entire staff are friendly, warm and extremely efficient. We would highly recommend this practice my family and I have been patients here since 2003. I can't say enough great things about Dr. Tini and staff! Thank you!